Foam From Above: NERF NEWS: Epic Games/Fortnite to Partner with Hasbro/Nerf to make blasters! NERF NEWS: Epic Games/Fortnite to Partner with Hasbro/Nerf to make blasters! Epic Games/Fortnite X Nerf teamup! Hi Friends! Been awhile. Make sure to check me out on Facebook and Instagram. · Hasbro has partnered with Epic Games to introduce NERF Fortnite blasters and MONOPOLY Fortnite. 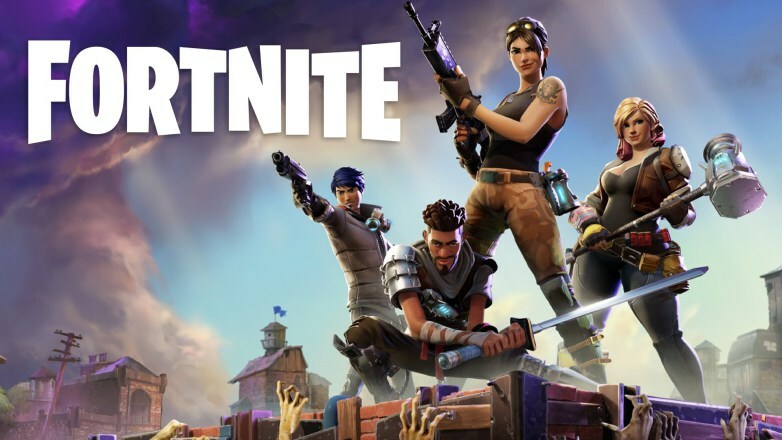 · The MONOPOLY Fortnite game, which brings a battle-building twist to the iconic Fast-Dealing Property Trading game, will debut at most major retailers globally Oct. 1, 2018. · The NERF Fortnite blasters (avail. Spring 2019) will immerse fans into the player-versus-player action of the game, letting them play out the Battle Royale in real world settings with blasters and accessories that emulate the onscreen battles Fortnite is known for. So it's crazy enough that Nerf landed the Overwatch blaster license for Rival but now they have Fortnite too? And don't forget, G.I. Joe is due for a revival soon if I heard some whispers at Toy Fair right. They would have said Rival. Also, Overwatch is already there. They don't mention blasting power or any mention of darts either. "Real world settings" tells me Augmented Reality. A la Laser Ops Pro. Laser Ops Pro is the new hotness. During the call earlier this summer, they had plans to support Laser Ops Pro through 2019 at LEAST. Again with the real world settings. It sounds like there's a lot of programming to do, or it's already in an app waiting to go. Fortnite has a mobile app already, Nerf has their matching system and network all set to go with Laser Ops Pro. Complete with in-game power ups. Might want to keep an eye on your apps to see if any patches/updates are coming. "Emulate the onscreen battles" they say. Again between power ups and abilities of an app, maybe putting together a defense house, collecting materials, and getting that potion aren't so off the mark for gameplay. That's all I got here for this, we'll see maybe by Toy Fair or hopefully later this year. Thanks for visiting!